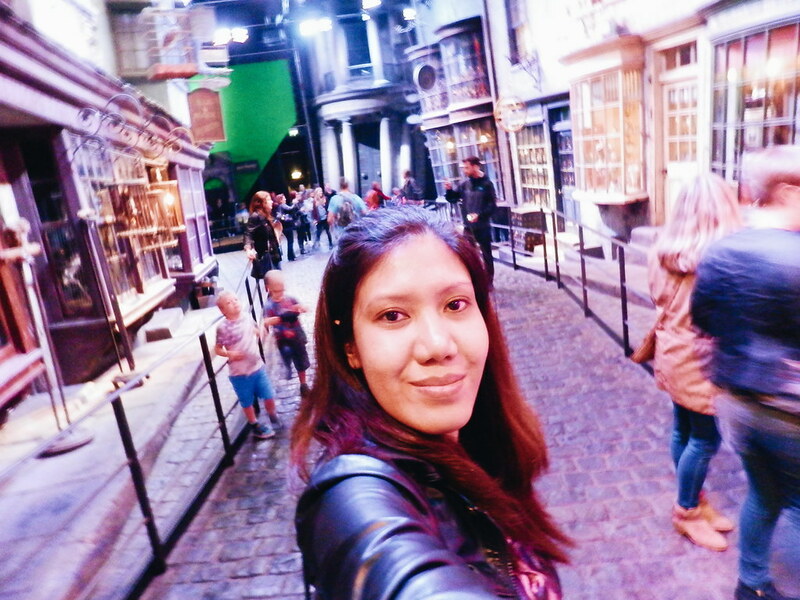 I first wrote about my Harry Potter Studio Tour, London experience in my travel blog because I don't want to jump from different stories and timelines - but since I am all for magical things and Harry Potter lately (I would tell you why in the coming weeks! ), I felt like writing about the experience in this blog. How timely (and shocking) it was to hear the sad news about Alan Rickman's (Professor Snape) passing. I was on my way home when I saw the news and my feed was flooded his picture and admiration to the characters that he portrayed. 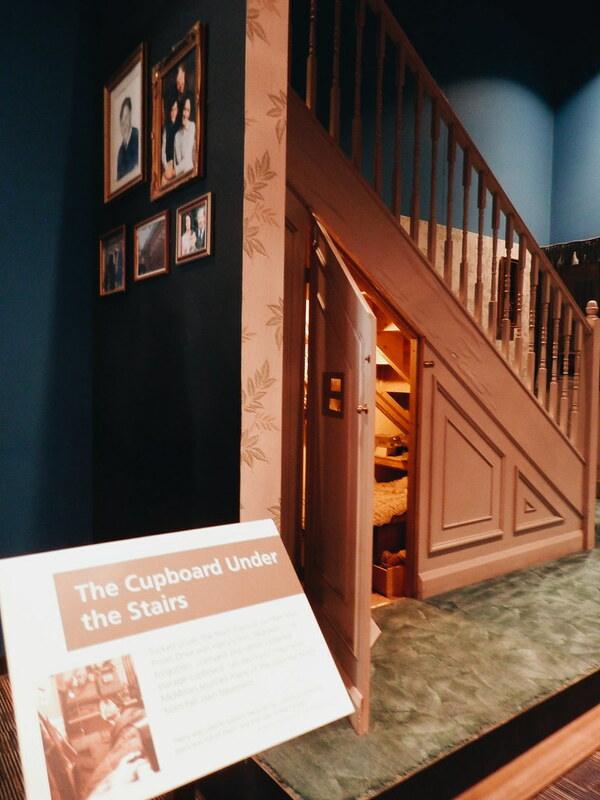 I never realized that I would get too attached to the Harry Potter story. I remember receiving the book set (book 1 to 4) via mail (oh, there was no #bloggermail back then) as a gift from my sister. So yeah, I became a fan, especially when the movies came out and you see them, actors grew up as the story progresses. 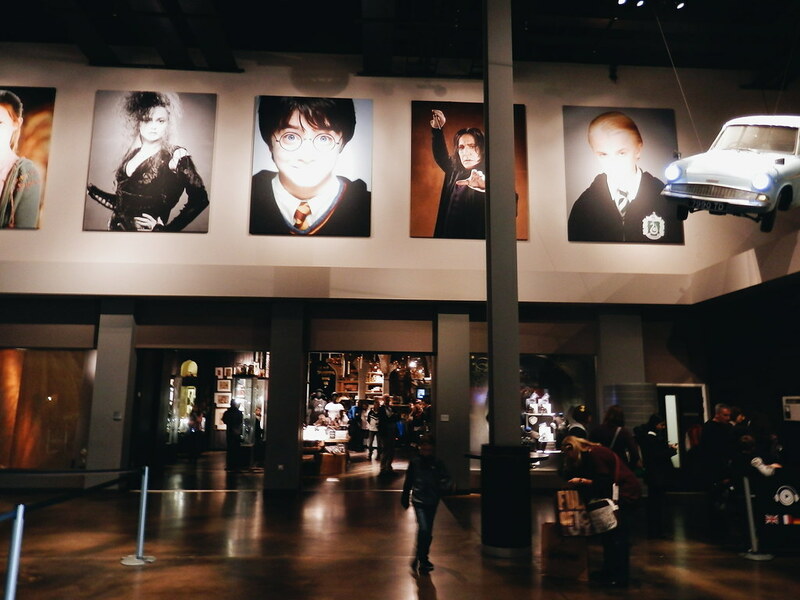 When I found out the Harry Potter Studio opened in Japan, I was dying in envy when I saw my friends' pictures in Hogwarts. 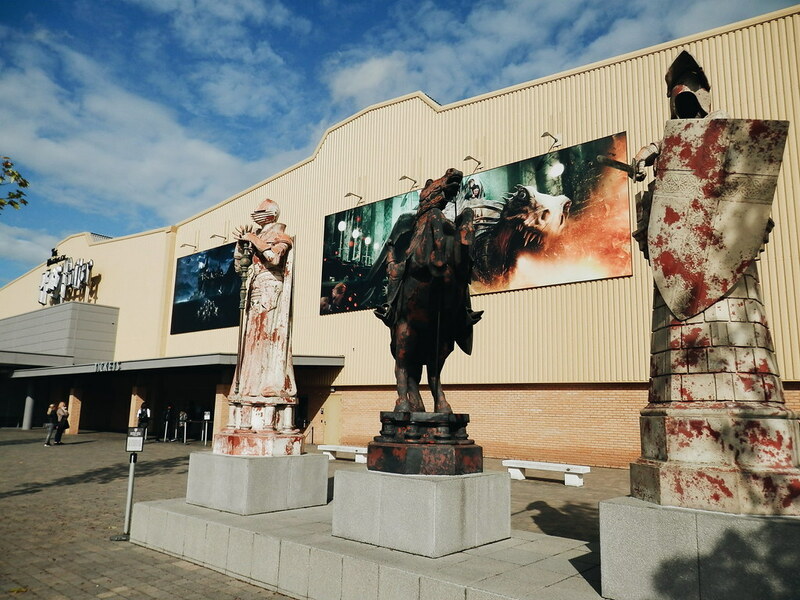 So when I got the chance to visit London in 2014 (and got one free day to explore), I only have one place in mind that I wanted to visit - the Harry Potter Studio, Leavesden. This is one of my favorite travel stories. I was traveling alone. I didn't know if I was excited. I was partly scared. Part of me was thinking, I wish I were traveling with friends or family. But part of me was happy that I was doing it on my own.
" I woke up early on that Friday morning. I can't remember what time I went to bed. Probably 4 in the morning? I thought when you are in another country (especially one that is miles away from your home city) you just never sleep. 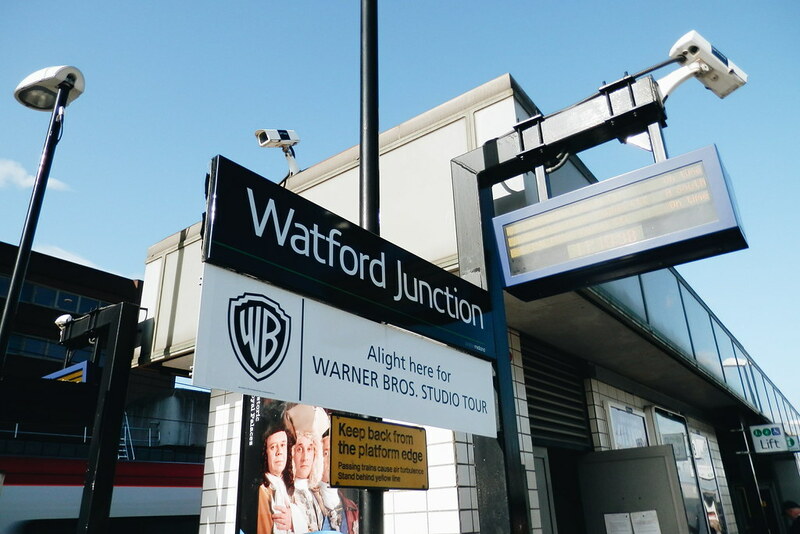 I hurriedly prepared for my journey to Hogwarts (!!!). 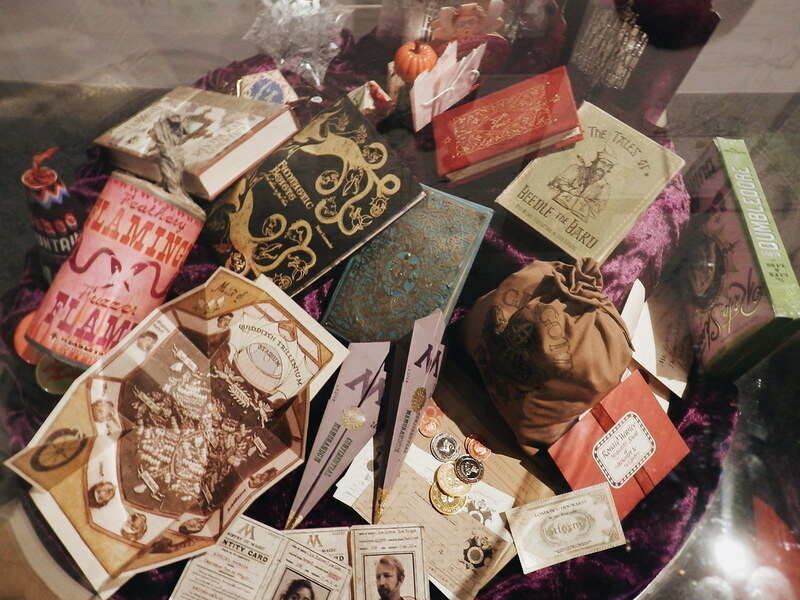 I didn't have an owl, a trunk or a wand with me. I only got the letter I received from Hogwarts! The digital copy of the ticket I bought online (the day before - while we were in a meeting!) 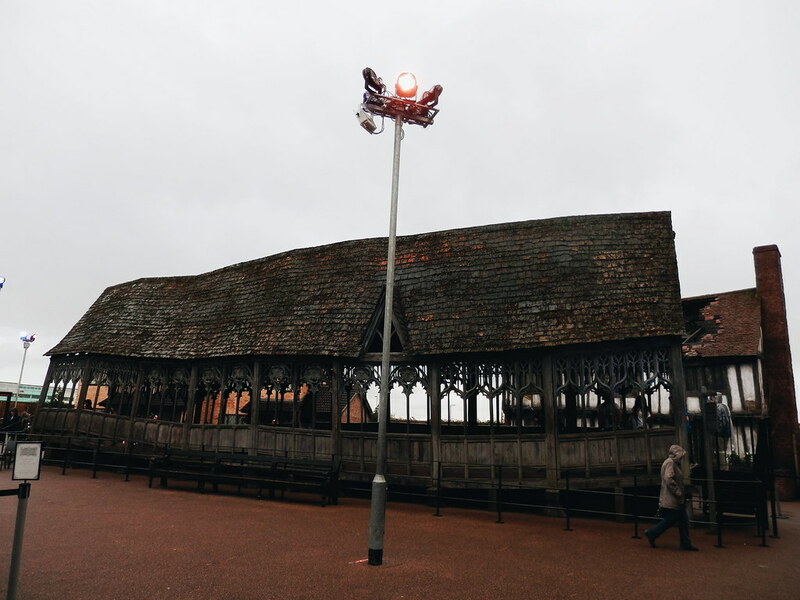 and Google Maps instructions that would take me to the Harry Potter Studio in Leavesden." 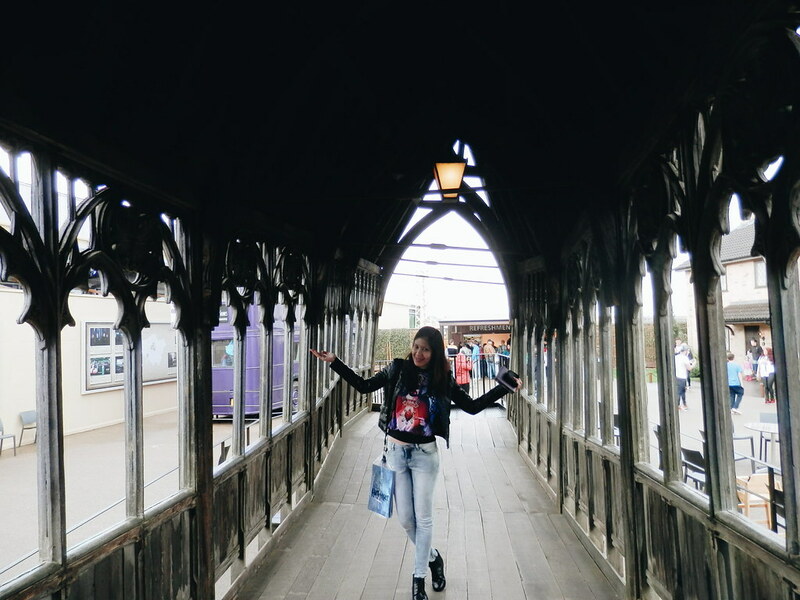 Read more about my misadventures going to Hogwarts on this blog. 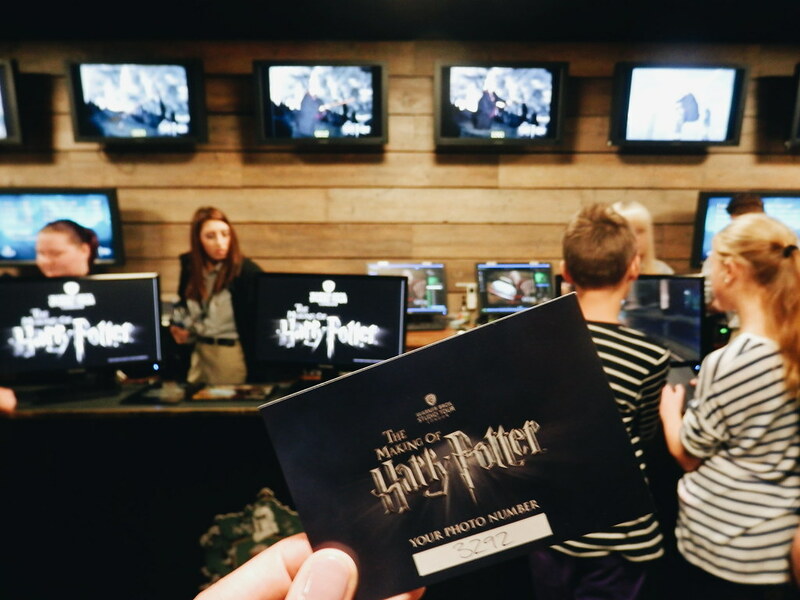 When I presented my ticket confirmation to the window cashier, I was ready for my short spiel-slash-explanation in case she asked me why I was late for the 11:30 studio tour schedule that I booked. 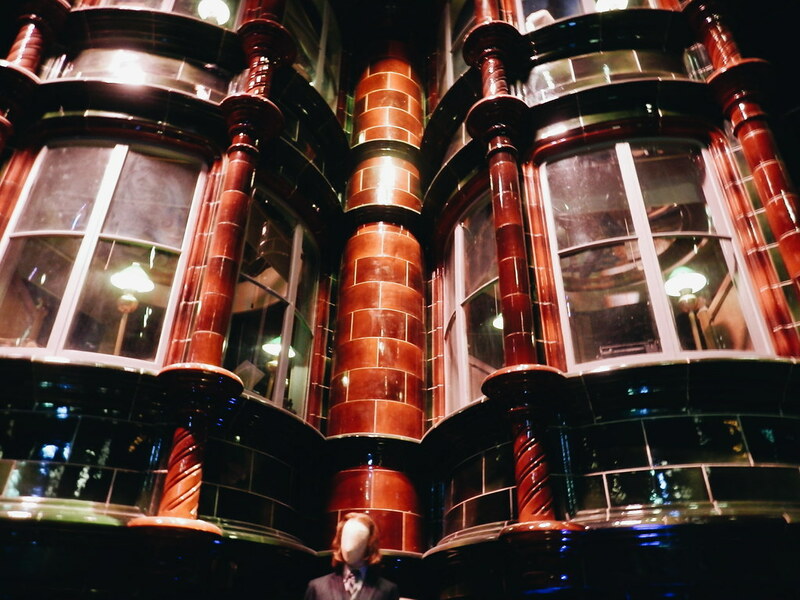 I would tell the lady that I got lost in Platform 9 3/4. 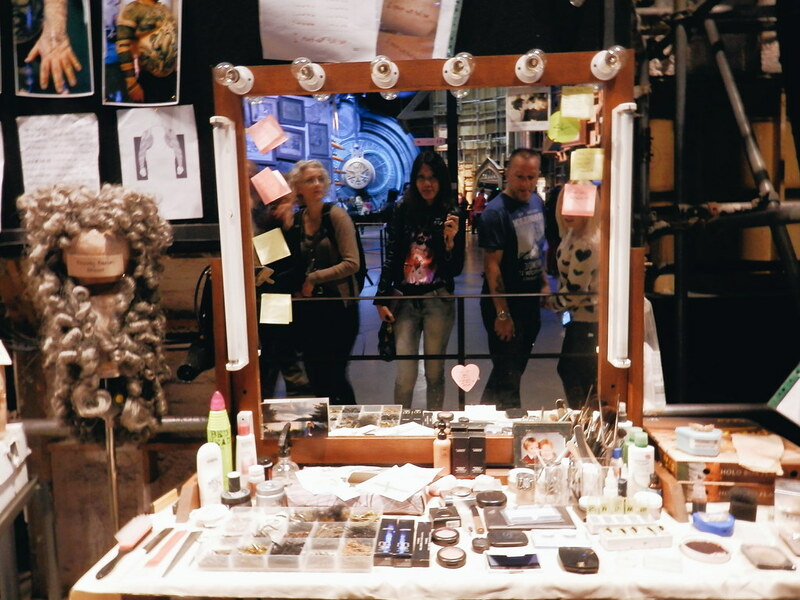 But for her it seemed like an ordinary day - doing her job and tending to the hundreds of muggles visiting the studio. Maybe she found it weird that I took a picture of my ticket. I wanted to cry when I finally stepped foot in the studio. This is Hogwarts! 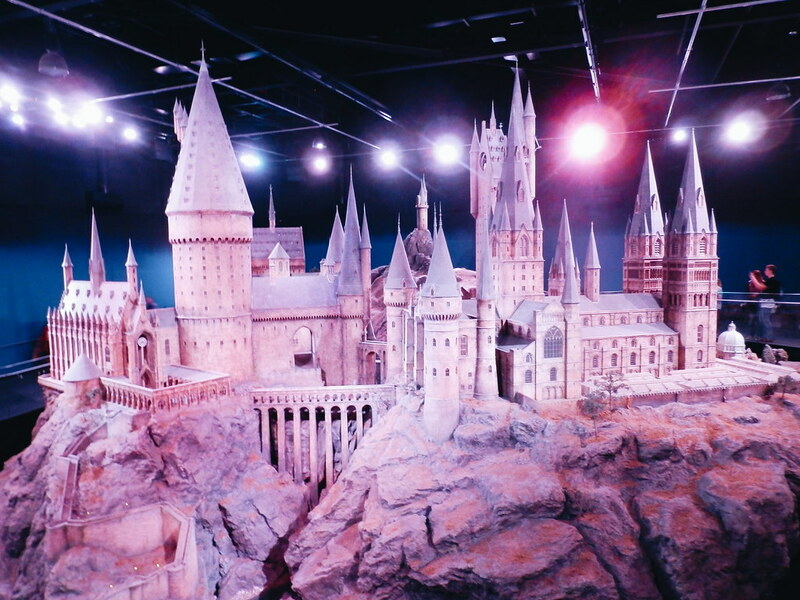 The real Hogwarts (because I know the one in Japan and US were just built for attraction). 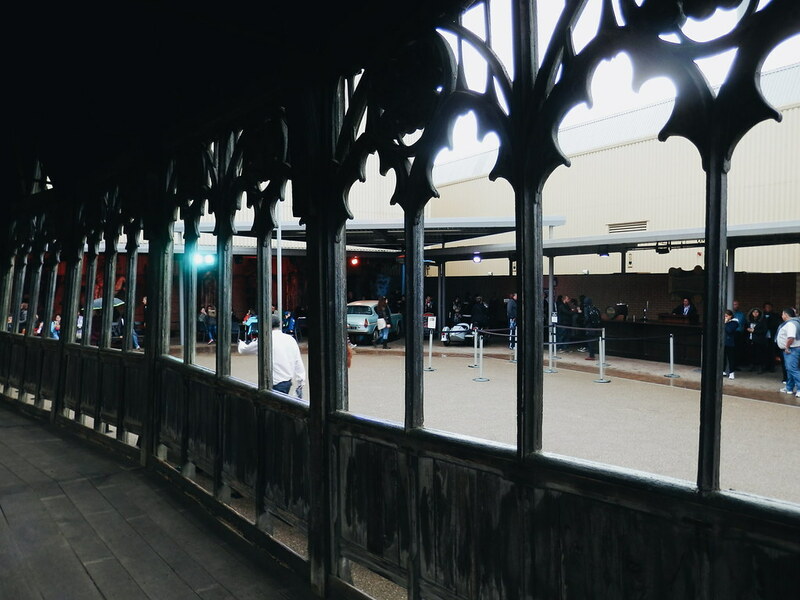 I made it in Hogwarts after getting lost in Google Maps! 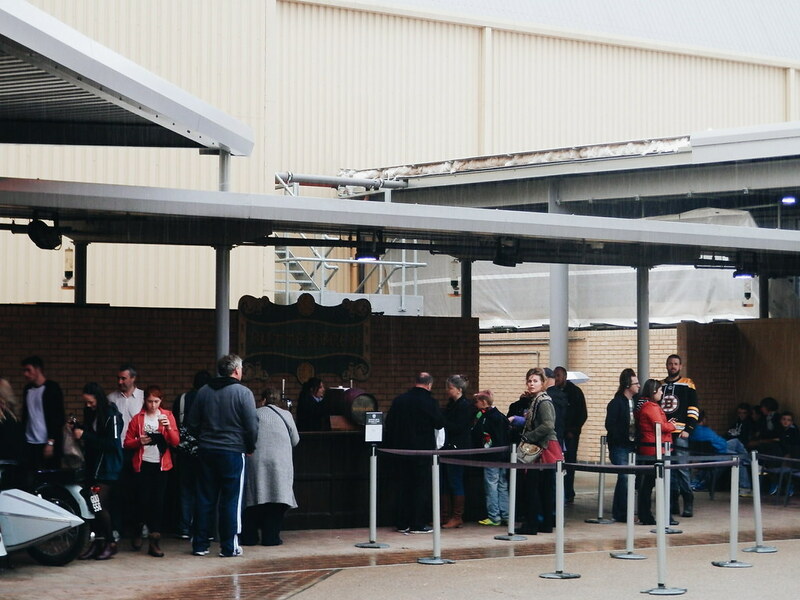 There was a long queue to the Entrance. I presented my ticket to the guy who was attending the line. I told him I was late for the 11:30 tour and he said, it was okay, things like this happen (oh my, you are the sweetest person I met in United Kingdom!). I asked if I could make a quick trip to the restroom before lining up (because, bladder hell!!!). When I finally got into the line, I felt like I was floating! Seriously! I saw families, friends, couples and groups. It seemed like I was the only one traveling solo! There was a dad and a kid behind me and I asked them nicely if they could take a picture of me beside the Cupboard. I asked them if it would be okay if I ask them to take pictures of me during the tour (because.. 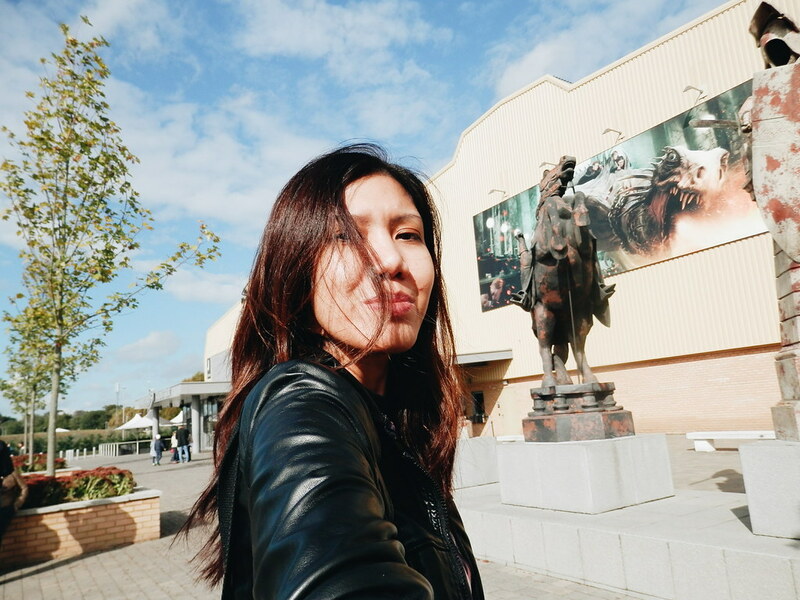 I am traveling solo) - and I forgot my selfie stick and all the quirky gadgets. While waiting in line, I was feeling both happy and sad. 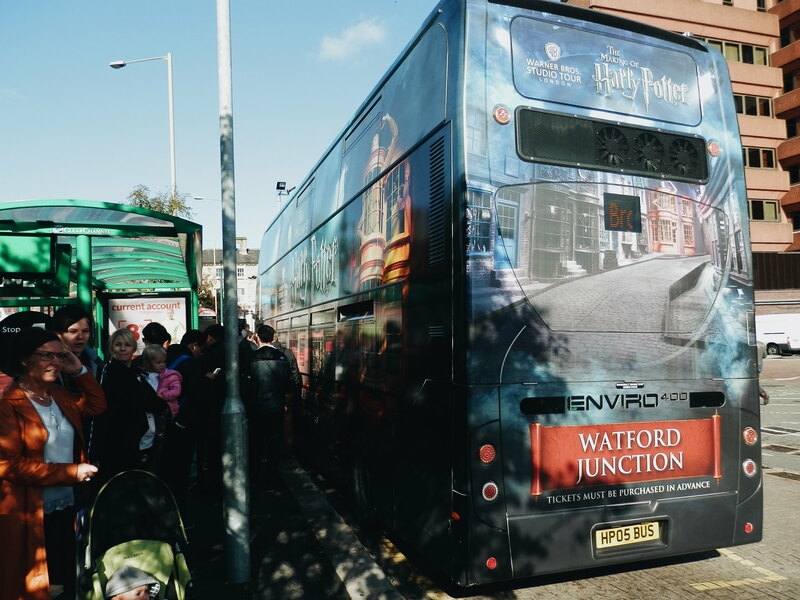 I wish I was traveling with my friends who were also potterheads, I wish my mom could also see this, I wish I was traveling with someone special (emotional song on the background please). But I thought, heck, this is my day! I'll going to make it awesome! When the team finally let us in. The host pooled us inside the waiting area. She said the usual welcome note but she warned us that we couldn't take pictures of the area (in the studio - we can take as many as we want!). 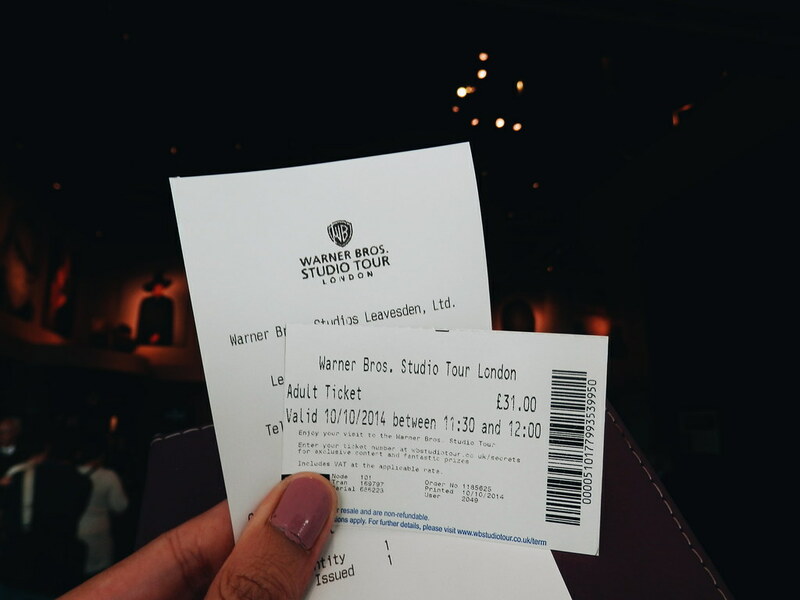 Before she let us in, she asked who among the guests traveled too far just to be in the Warner Bro's Studio in London? I saw groups raised their hands - they said they came from Texas, the others are from different parts of Europe. I raised my hand and the woman asked, how about you ma'am? "I traveled all the way from Philippines to get here!" Ha! Beat that! Philippines represent! 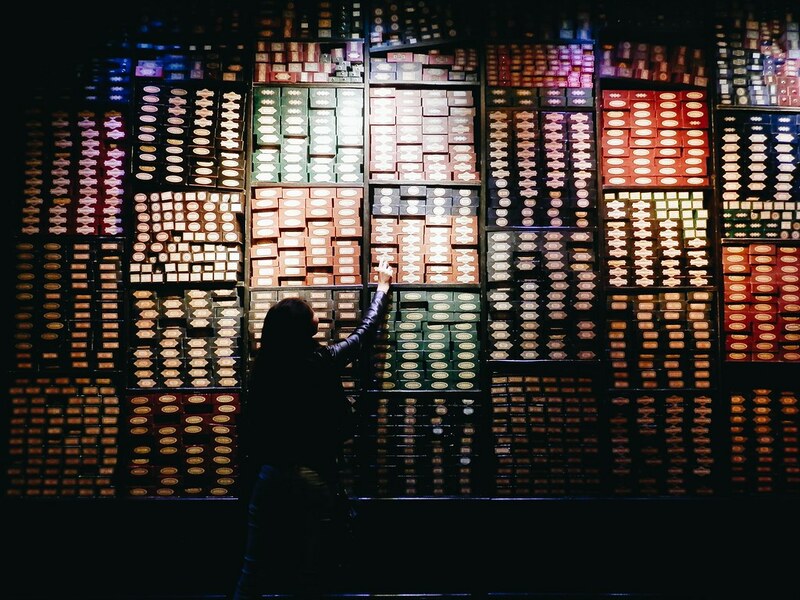 Enjoy Harry Potter movies from part 1 to 7 - Back to Back! 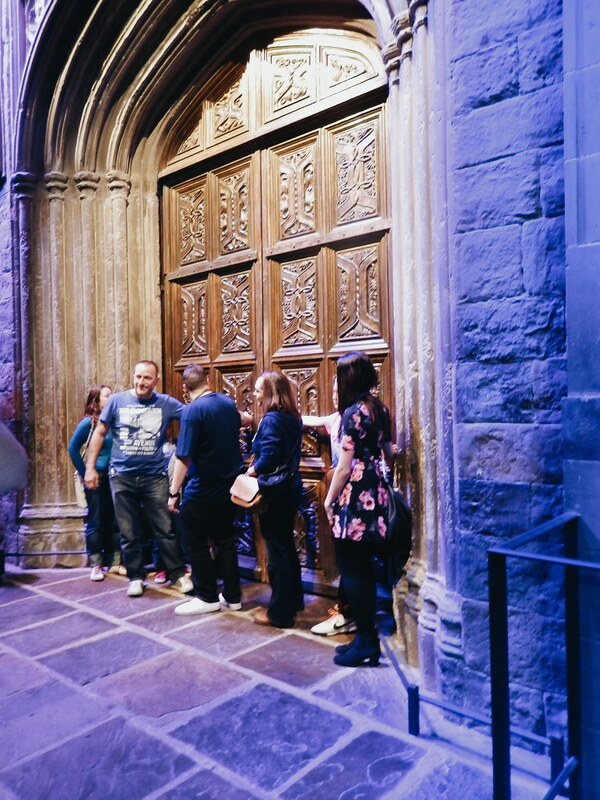 THE DOORS of the GREAT HALL!!!! As the host said "Welcome to Hogwarts!" They asked, who were celebrating their birthday that day? Okay, it was October 10 and I know my birthday was sometime in February. 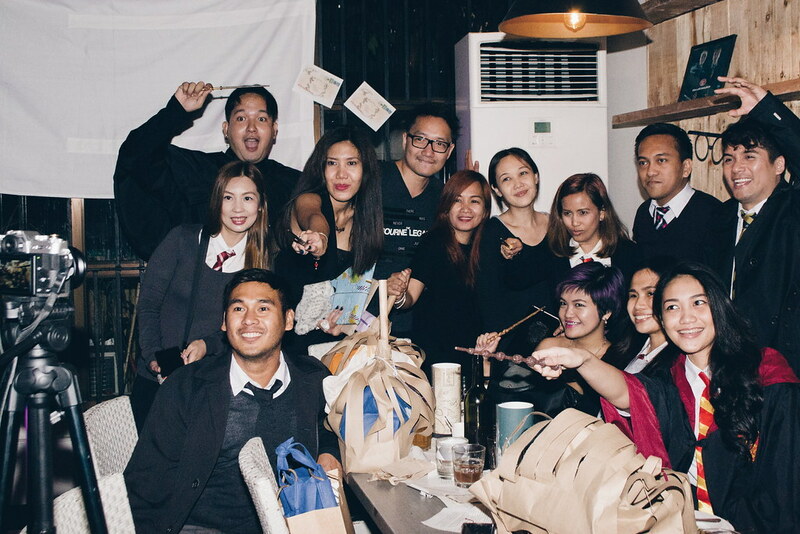 Read: my Harry Potter inspired birthday Party! I wanted to volunteer so I could stay in front. But geez, I am such an honest girl. Anyway, the birthday celebrants got to open the door! As the host put it, "you guys would experience what exactly Harry felt on his first day in Hogwarts! 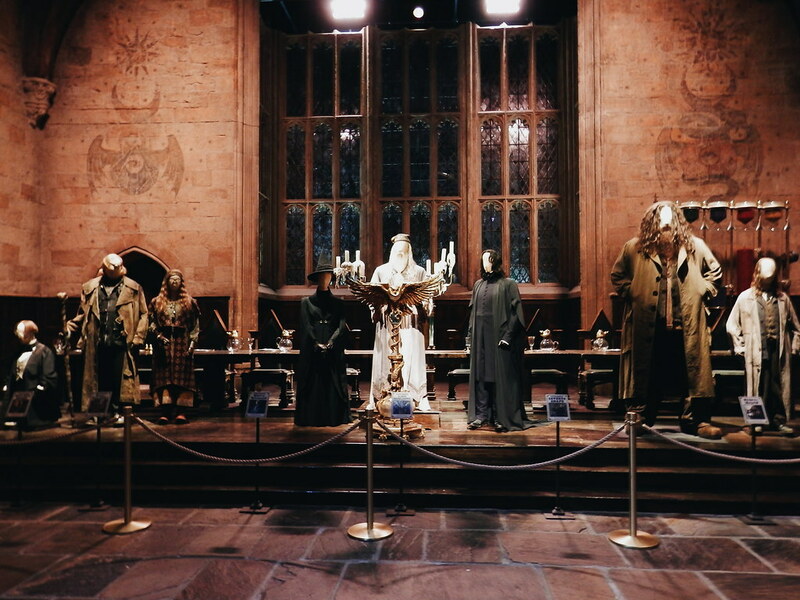 And they opened the Great Hall! Whoa!!! I wanted to cry. Everyone was walking so slowly and feeling the moment. 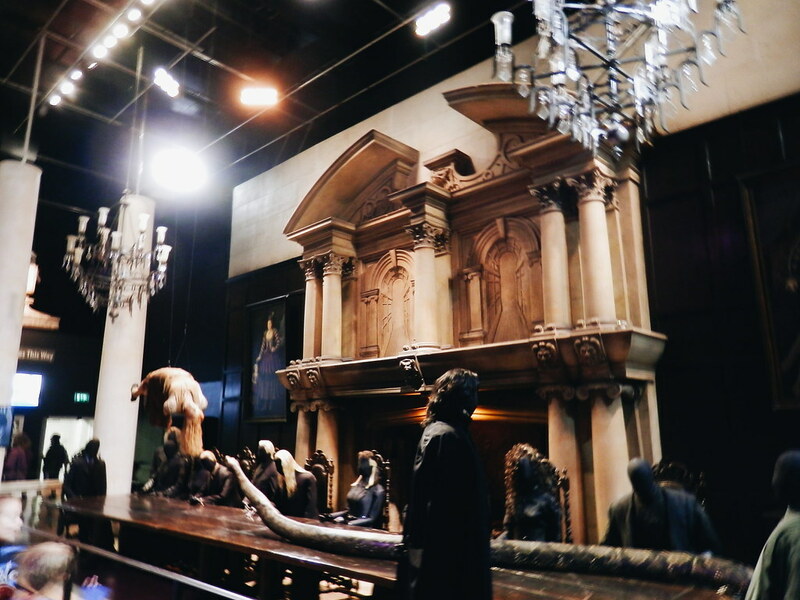 I was the first one to walked directly straight to the front and gave respect to Dumbledore. I seriously wanted to cry! 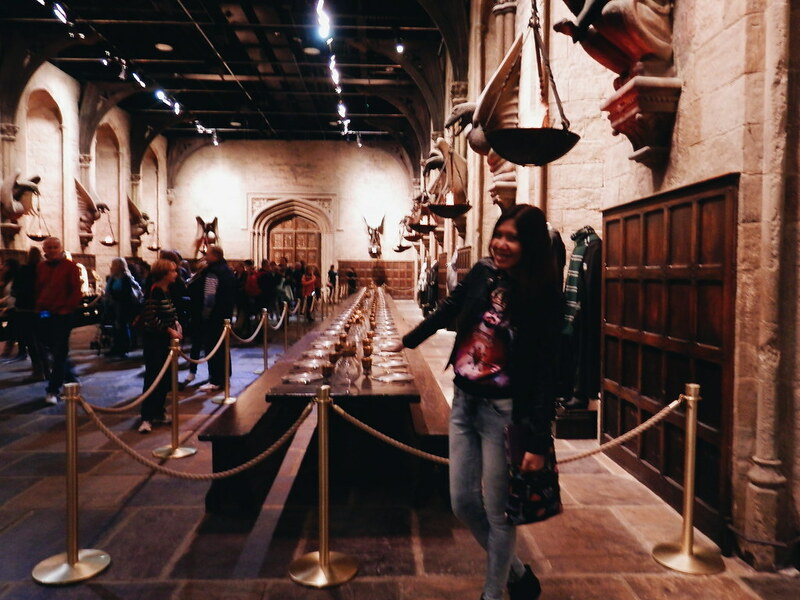 It was the same Great Hall where Harry Potter movies were filmed. Unlike in the movies though, there weren't festive meals and floating candles. 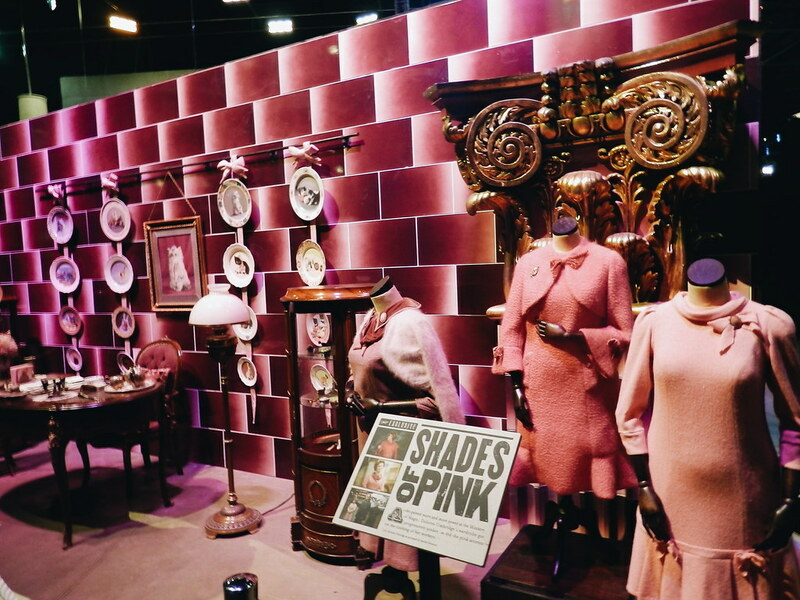 On display were costumes used in the actual film. The details are so intricate. Everything is so magical! 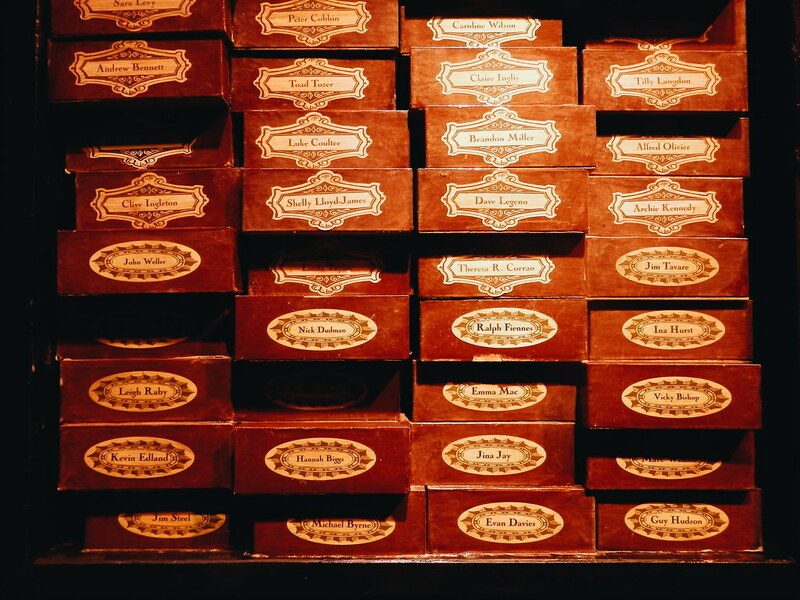 I couldn't find the Sorting Hat though. 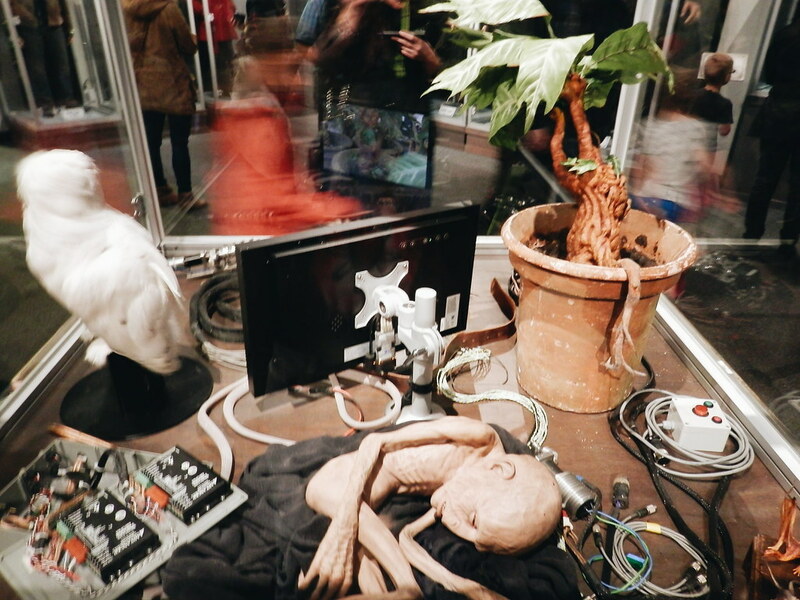 When we got inside, we were free to roam around the museum. I seriously didn't know where to focus. 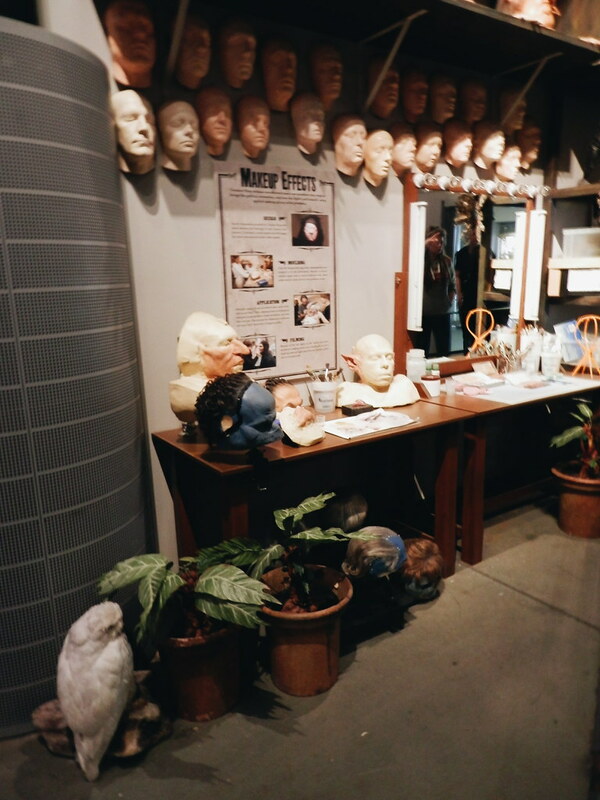 So many magical stuff from the Harry Potter studio. 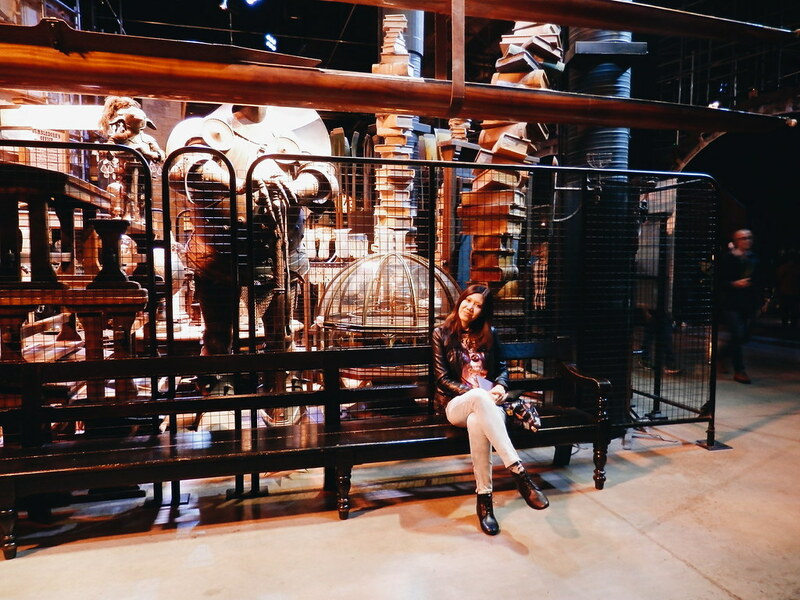 At the back of my mind, I was wishing I have a friend who can take pictures of me in different parts of the museum. But that didn't spoil the tour for me. The solution: I asked random people to take my picture! I also lined up for a fun shoot riding the broom! Cool! There was a long line for this but you just have to wait. 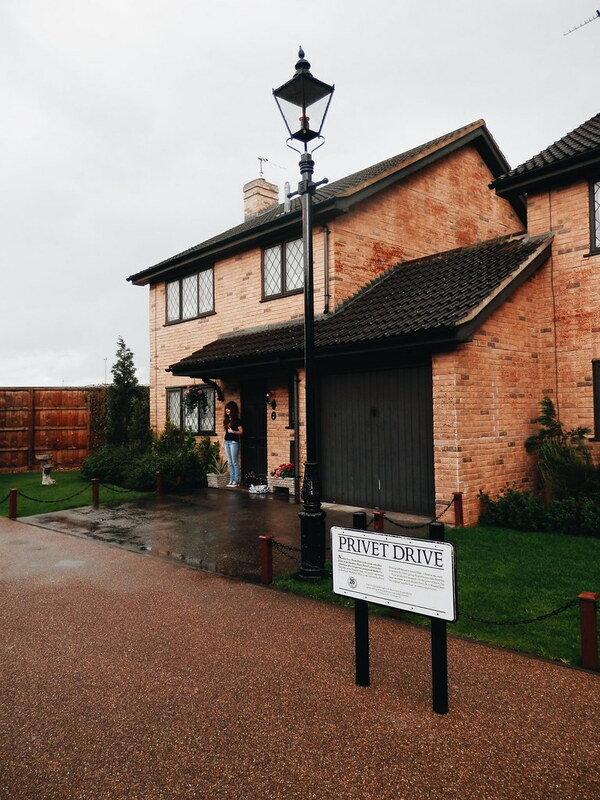 They ask for your house (I am Gryffindor!) so you can wear the right robe. When I got to the Outdoor Set - whoa! It was amazing! 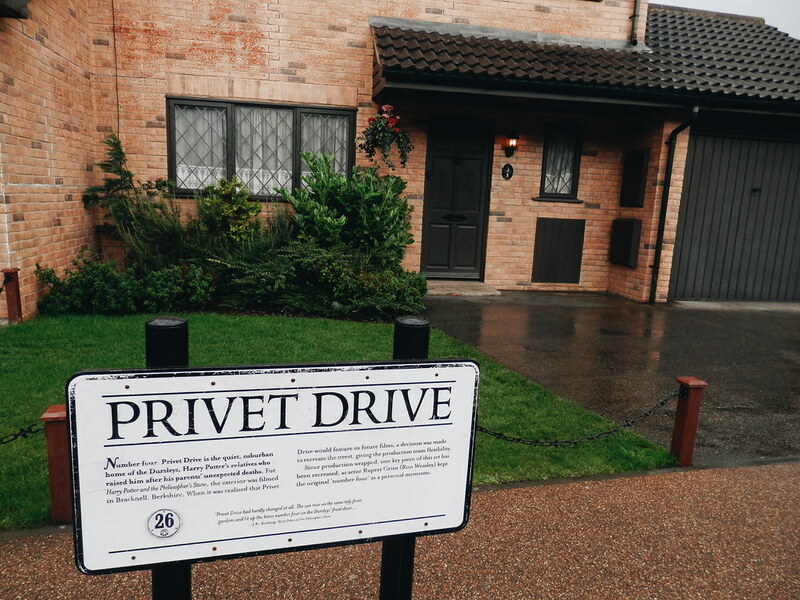 There's the famous Hogwarts Bridge, Privet Drive, Godric's Hollow, The Knight Bus, Hagrid’s Motorbike, The Weasley’s car, The Riddle Grave, the huge Chess pieces and Butterbeer station! I didn't know where to go first! It started drizzling and I took a quick break. I had to ask a random guy who was drinking a beer to take a picture of me. Funny enough, it was him again who I found in the bridge and he graciously offered to take my picture. I asked him if he wanted me to take his picture. He said it was okay. He's making memories in his mind and totally feeling the moment. He is from Australia and he was also traveling alone. 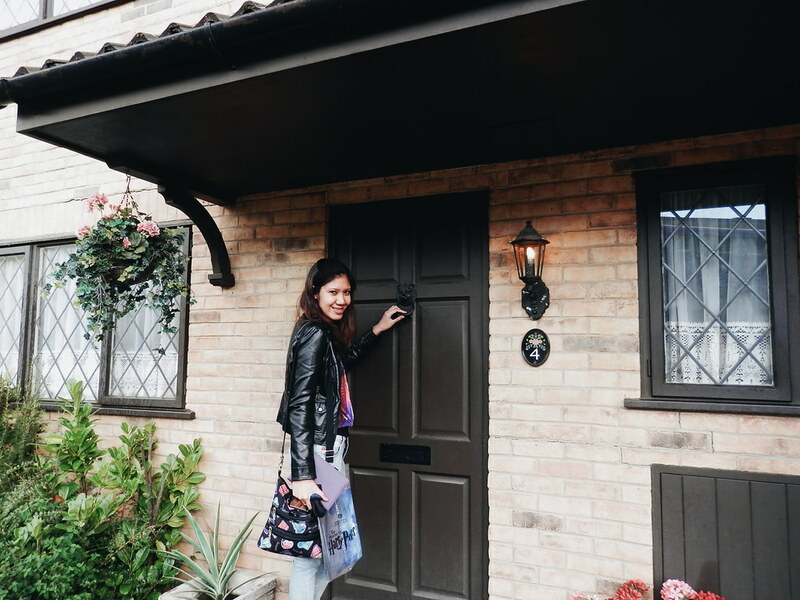 For my picture in the #4 Privet Drive, I asked two lovely friends to take a picture of me. Sweet! Thanks ladies! 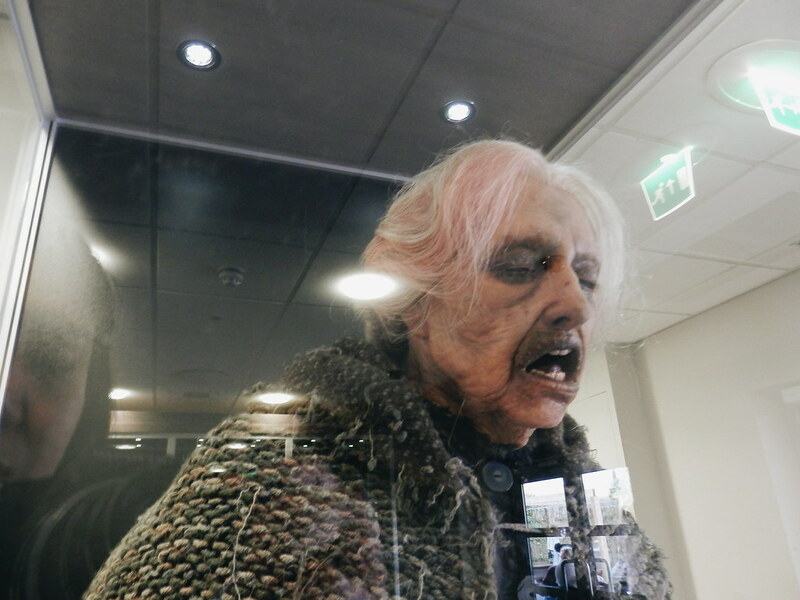 The next door leads to an indoor museum of Special Effects. 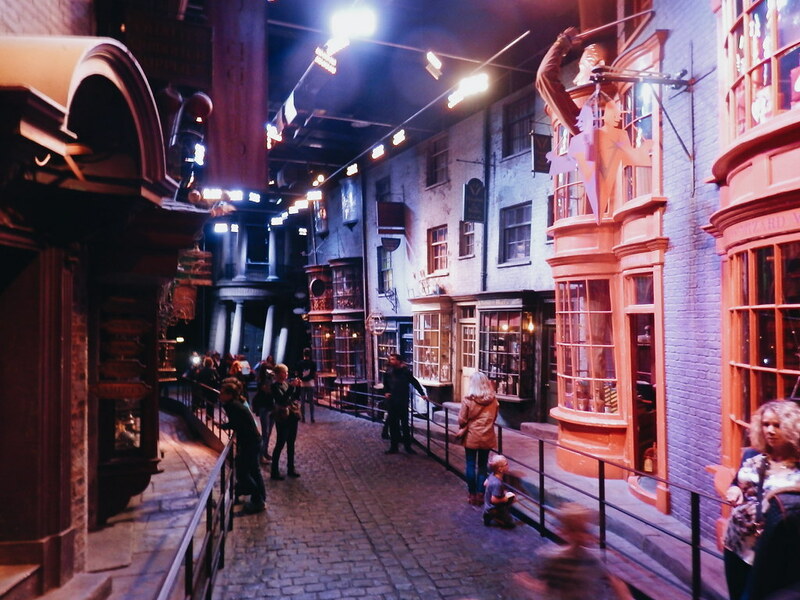 My favorite part is the Diagon Alley! It was amazing! 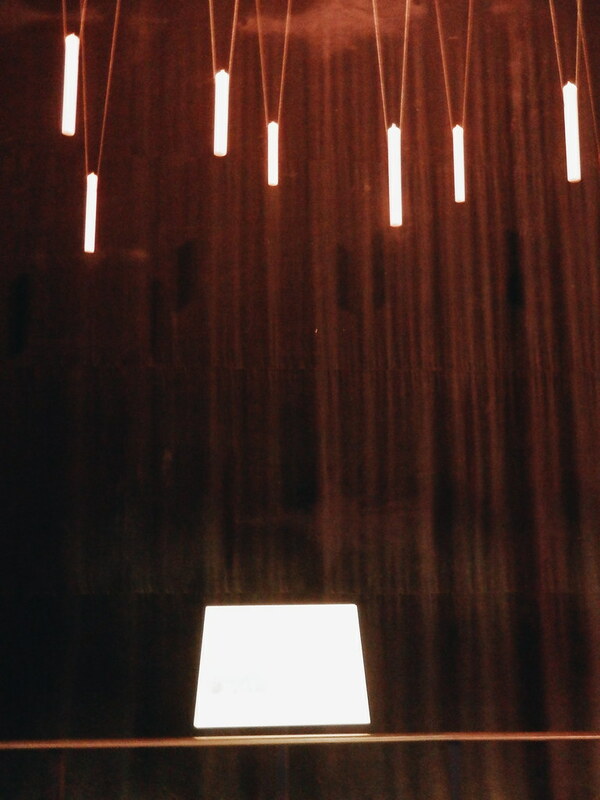 When I reached this part of the studio, I just had to take a quick break and appreciate all the magic inside. 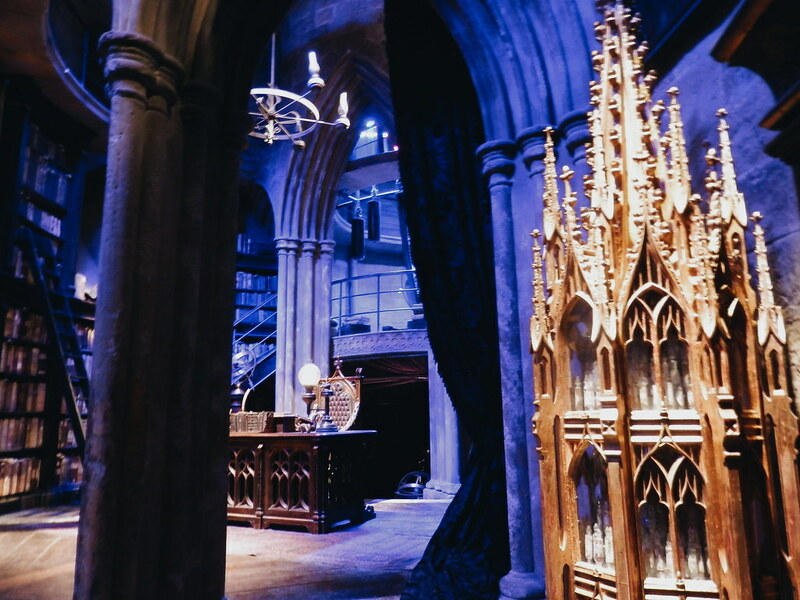 The people who worked for Harry Potter are amazing, they did magic indeed! The last door to the museum leads to the Shop. 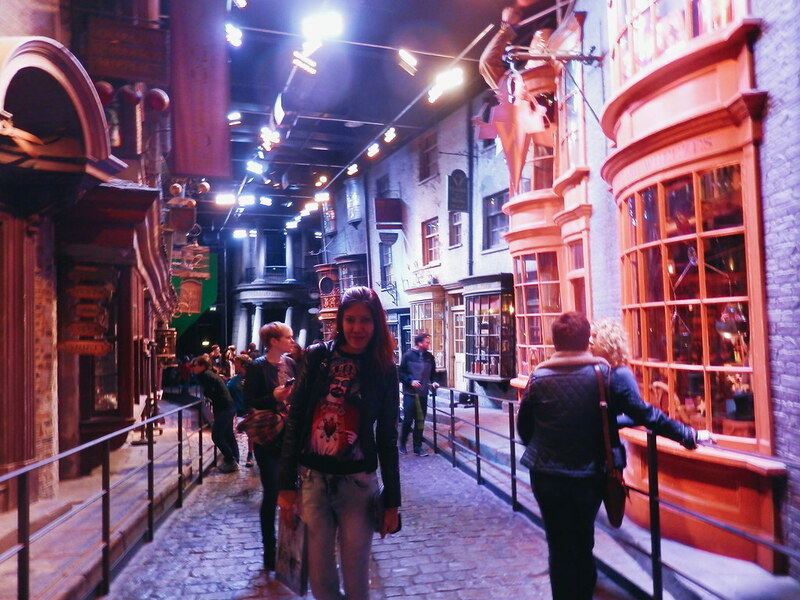 There was so much Harry Potter stuff! 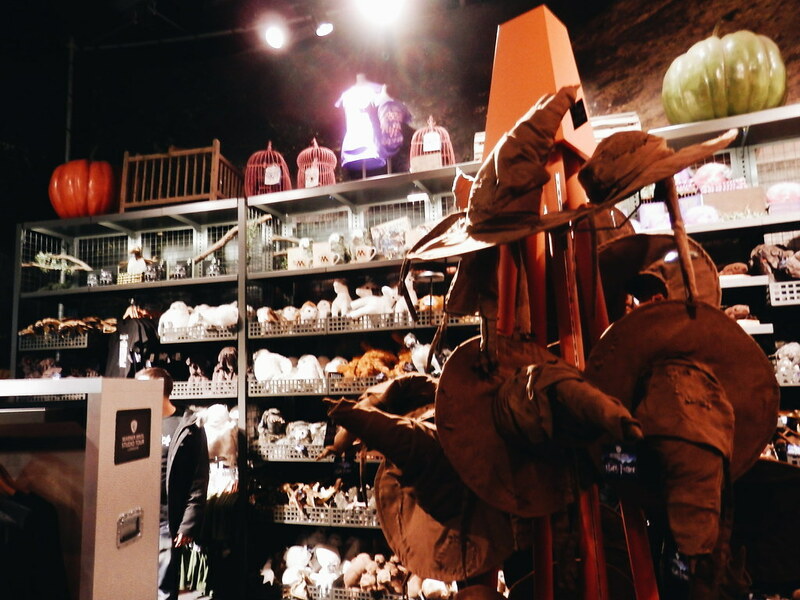 There's sorting hat, shirts, key chains, chocolates and real stuff from Ted and Fred's shop. They are a little expensive and I thought they are just normal chocolates and they would probably taste the same. I didn't want to spend too much on these things. I just bought some gifts for friends. Thinking about it now, I am thinking I should have bought a lot of stuff! 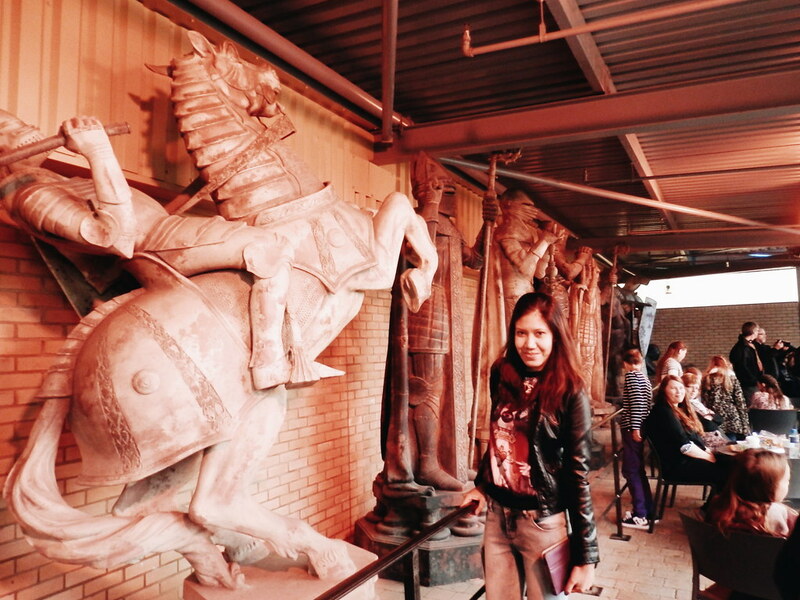 When would I ever get the chance to visit this place again? When it was time to get my video copy, the guy who attended asked what house I was in. I said "Gryffindor" yes, I was sorted. 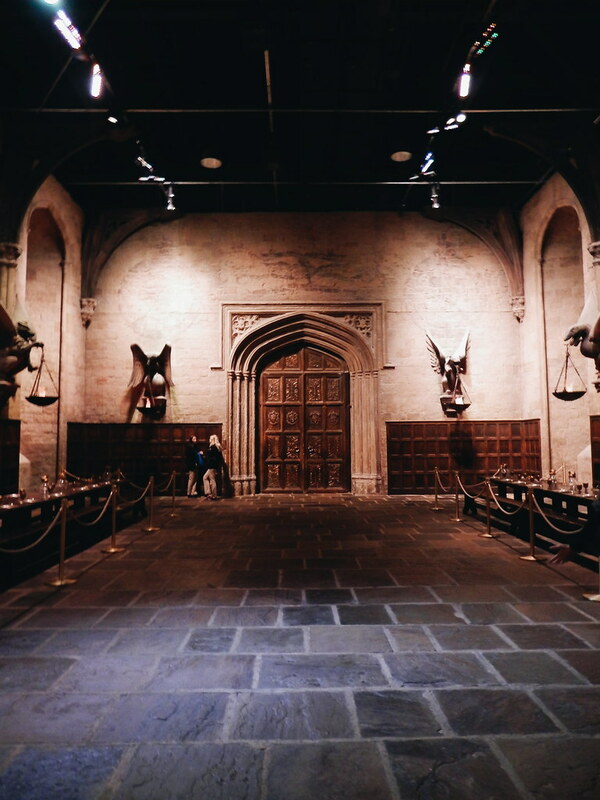 It really felt like being in Hogwarts. It was an amazing trip. And even if this story happened a year ago, I still feel like it was one of the stories I would never get tired of sharing. 1. Bring camera, Go Pro and selfie stick with you with full battery and memory. 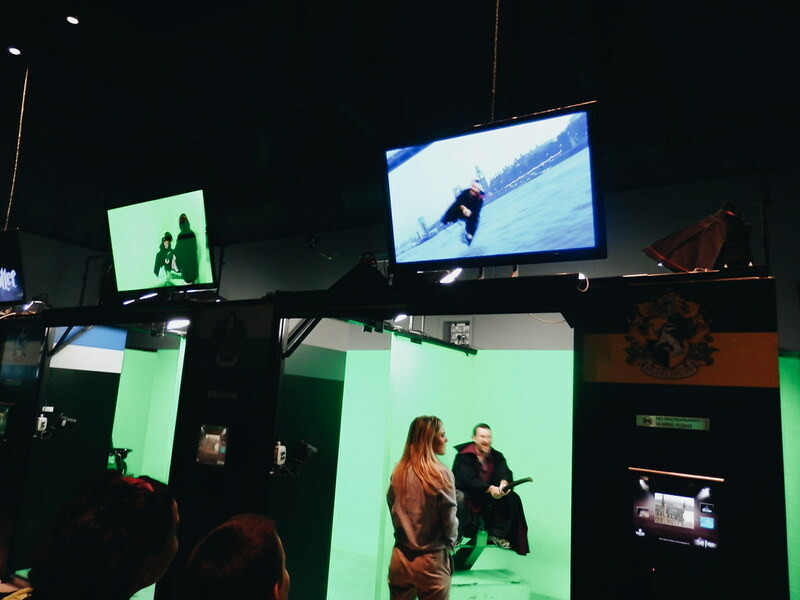 Every inch and corner of the studio is instagrammable! 3. Purchase your ticket in advance. I bought mine the day before which is all good. 4. You can do the tour at your own phase. Allot 4 hours or you can do 2 hours but there are so many nice stuff to check out in the tour. 4. Don't forget to ride the broomstick and get your copy. 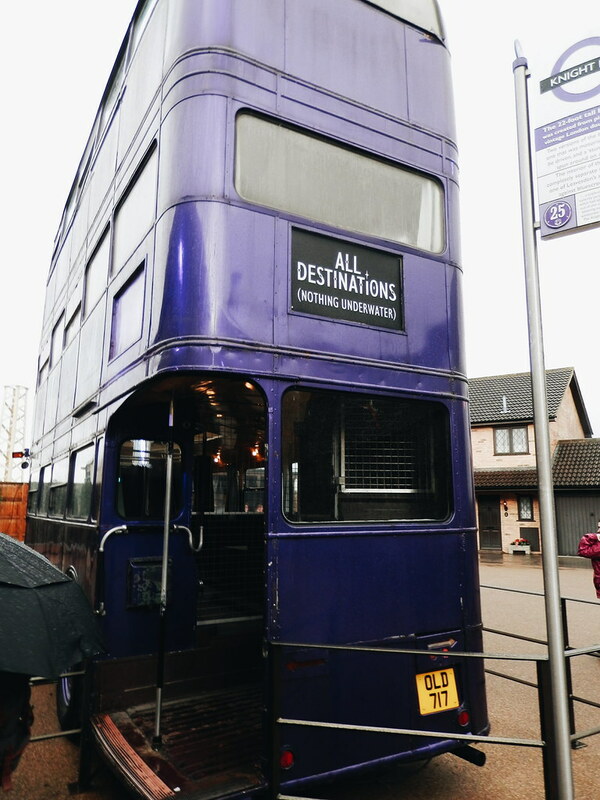 I bought a good package of 3 photos and 1 usb containing video of my broomstick ride. 6. Don't be afraid to ask random people to take a photo of you. I encountered a lot of nice people, girl friends, guys, and couples. I removed the watermarks of the photos to make it more pleasant for viewing. If you wish to use them, please do give a link back to my site. Thank you. 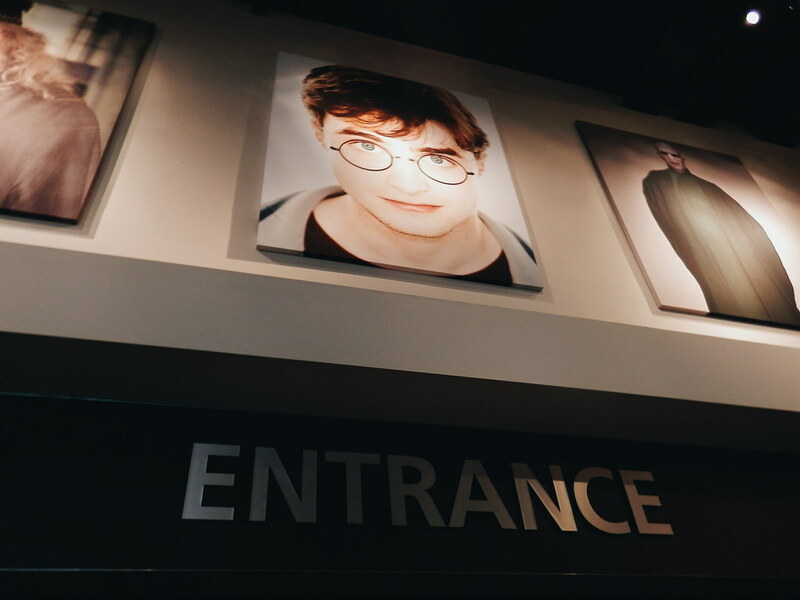 Thank you Harry for the tour! 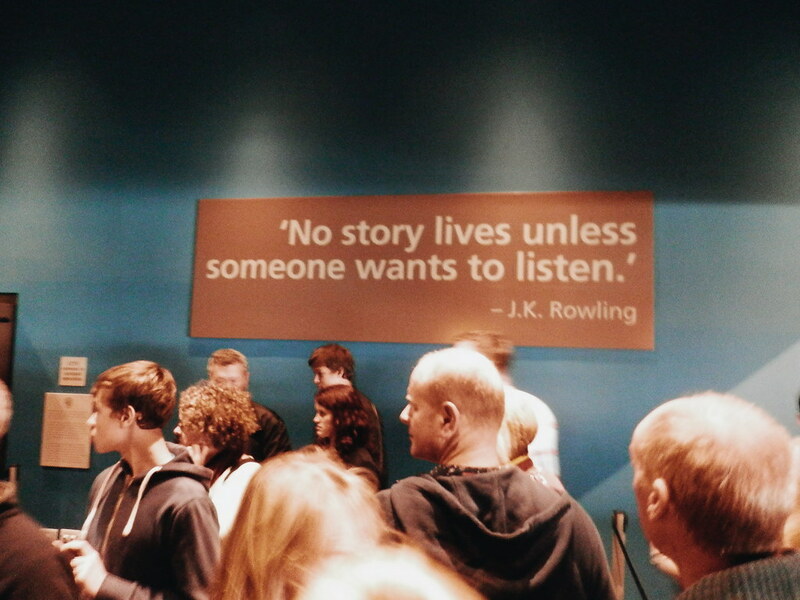 Your story will forever live.